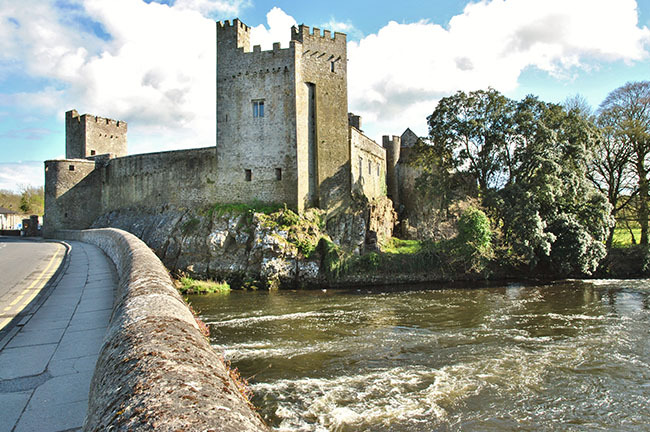 There’s an endless list of sites and places of interest in the region including the John Nash designed Swiss Cottage from early 1800’s, Cahir Castle dating from 1142,the Rock of Cashel dating from 1235, then down along the Butler Trail to Carrick-on-Suir where Ireland’s only Tudor Manor is situated. There are the famous Mitchelstown Caves only 6.3kms from Boolakennedy, the scenic Vee Pass leading to the beautiful historic town of Lismore with it’s Castle and gardens. The Galtee Mountains, Knockmealdowns, Comeraghs, Ballyhouras and Nagles all of which are within the Munster Vales that offer excellent hiking and cycle trails. The powerful Anglo-Norman family, the Butlers, came into the possession of the castle in 1375. 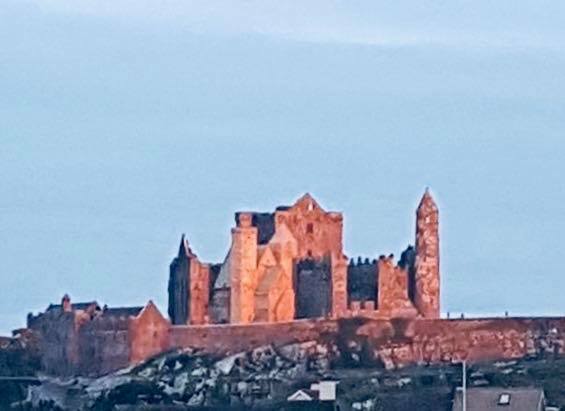 The castle was captured three times in its history: it fell to Devereux, Earl of Essex, in 1599 after it had been battered for three days with artillery; it surrendered without a fight to Inchiquin in 1647, and again to Cromwell in 1650. 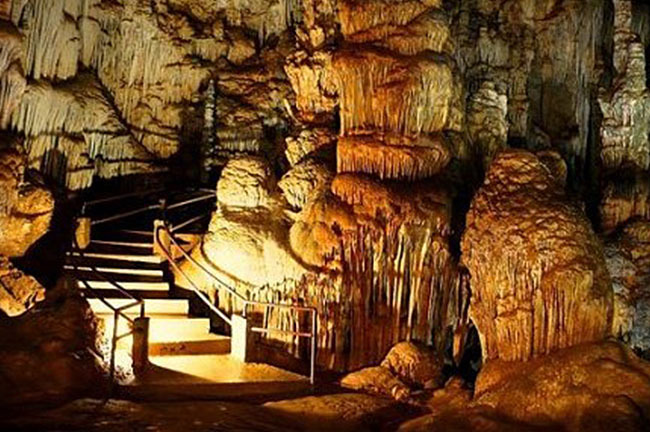 One of Europe’s major show caves, Mitchelstown Cave, is situated on the Cork-Tipperary border. Mitchelstown Cave is a world without sun, without time, a world where man almost feels an intruder, stumbling on a past age, and an era where nature reigns supreme. Tours by informative guides will take you through three massive caverns in which you are surrounded by indescribable dripstone formations, stalactites and stalagmites. Graceful calcite curtains hang from the sloping roofs, calcite crystals glisten like diamonds in the distance and one of Europe’s finest calcite columns the huge Tower of Babel stands tall. Groups should phone ahead of time for an appointment, and are catered for winter and summer. Parking for cars and coaches is provided and toilet facilities are on site. Bring a picnic along and avail of the beautiful panoramic views of the Galty Mountains before your descent underground. Mitchelstown Cave was discovered on the 3rd of May 1833 when a labourer named Michael Condon who was quarrying limestone accidentally dropped his crowbar into a crevice. He stooped down to pull out a few boulders to retrieve the bar, next minute he found himself looking down to a vast series of underground chambers, passages and caverns. Words themselves could never do full justice to the Mitchelstown Cave, the subterranean world in the heart of these hills will simply take your breath away by its sheer scale and depth. Swiss Cottage, a delightful ornamental cottage, was built in the early 1800s by Richard Butler, first Earl of Glengall. It remains an enduring local attraction in South Tipperary and an iconic image of the Ireland of yore. Based on a design by the famous English Regency architect John Nash and inspired by nature, the cottage’s unusual and rustic features include a distinctive thatched roof while its external woodwork resembles branched trees. The nature theme continues throughout the former guest cottage’s internal furnishings and wallpaper. Situated on an elevated site with access by stone steps, the Swiss Cottage interior contains a graceful spiral staircase and some elegantly decorated rooms. The wallpaper in the salon, manufactured by the Dufour factory, is one of the first commercially produced Parisian wallpapers. 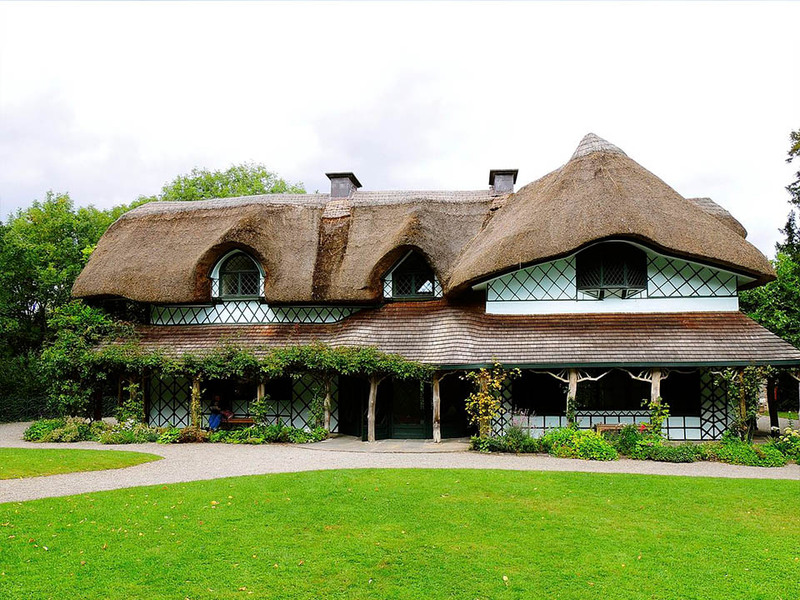 A guided tour of the Swiss Cottage is located in easy reach of the heritage town of Cahir and is a must for anyone on holiday in beautiful South Tipperary. A spectacular group of Medieval buildings set on an outcrop of limestone in the Golden Vale including the 12th century round tower, High Cross and Romanesque Chapel, 13th century Gothic cathedral, 15th century Castle and the restored Hall of the Vicars Choral. Attractions include an audio-visual show and exhibitions.